-Dimensiones: 20.32cm. x 12.70cm. x 1.52cm. 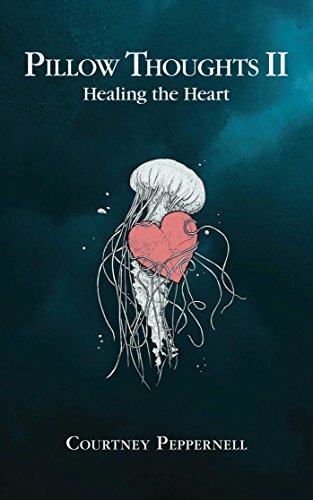 Following the smash success of her best-selling book, Pillow Thoughts, Courtney Peppernell now returns with the follow-up sequel Pillow Thoughts II: Healing the Heart. 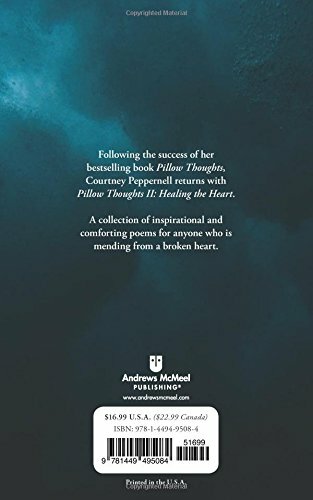 Peppernell understands that healing is a process, and Pillow Thoughts II eloquently captures the time and experience that one goes through on their journey to peace through restoration. A collection of inspirational and comforting poems for anyone who is mending from a broken heart.